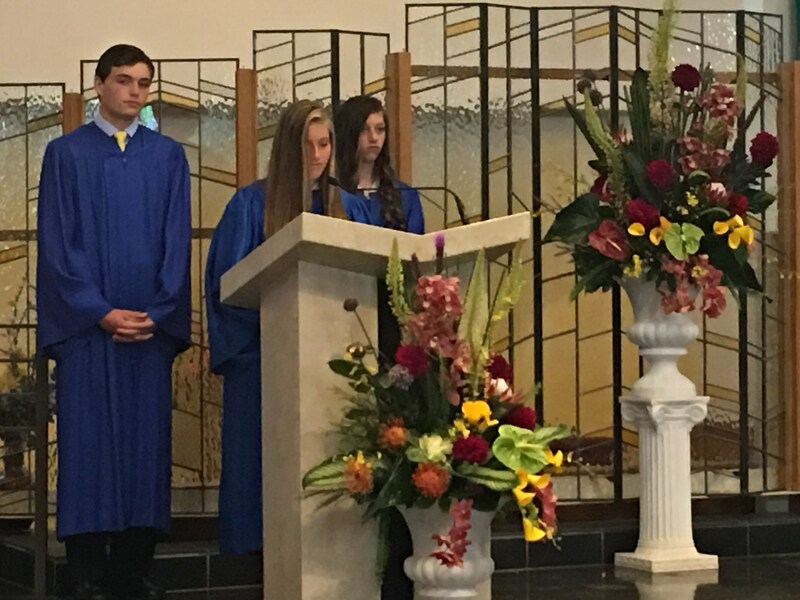 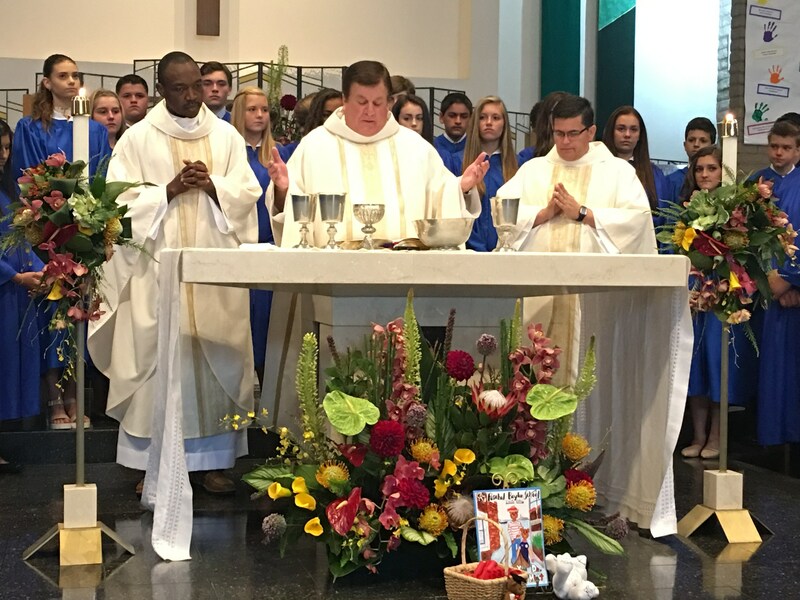 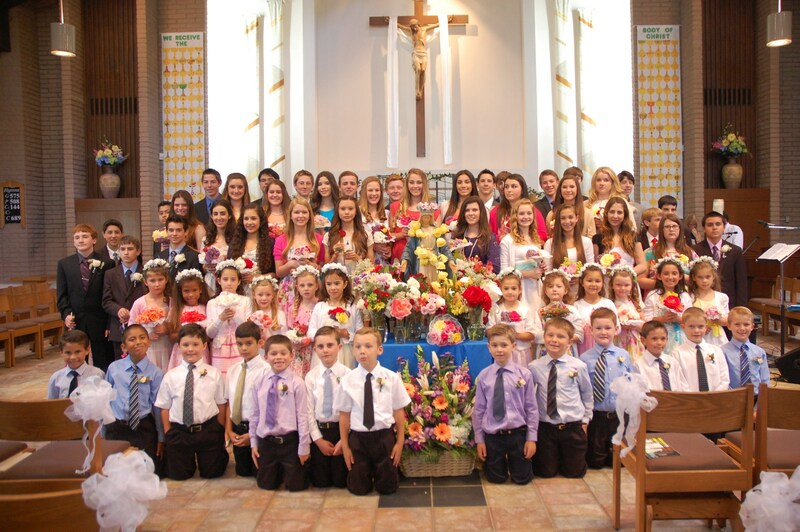 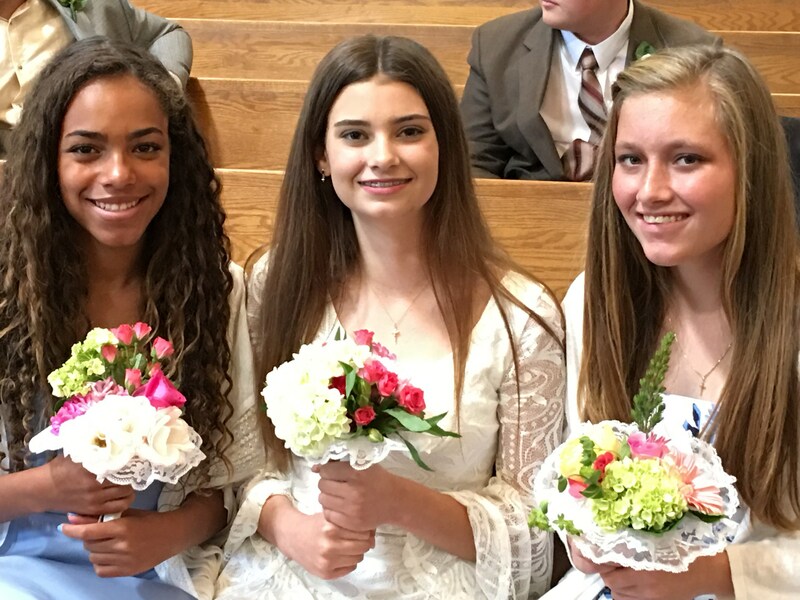 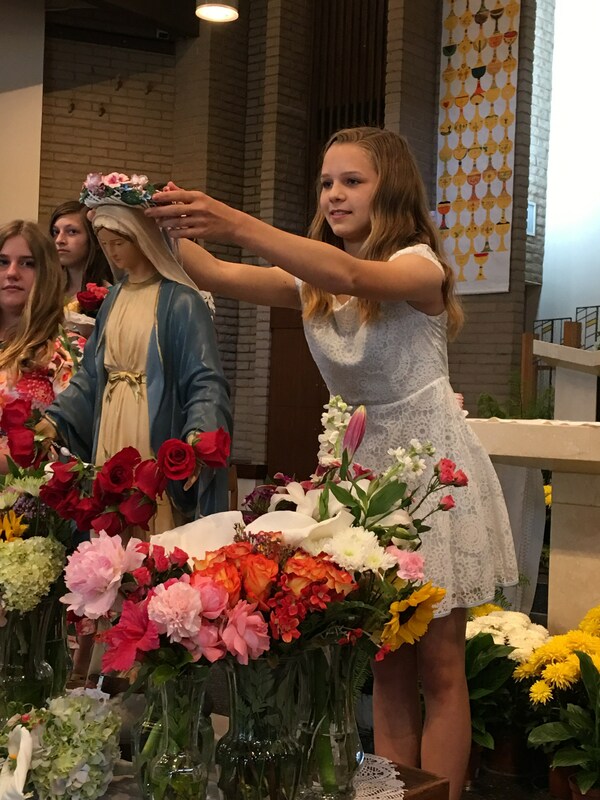 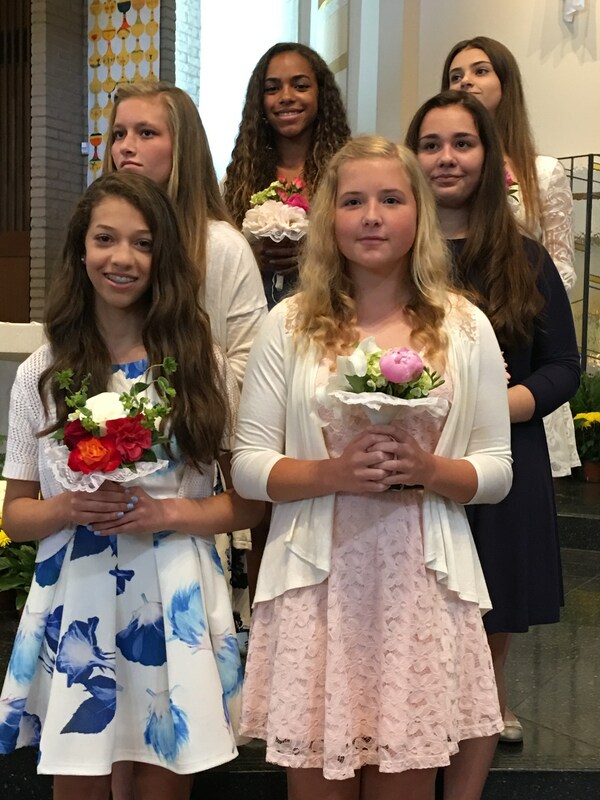 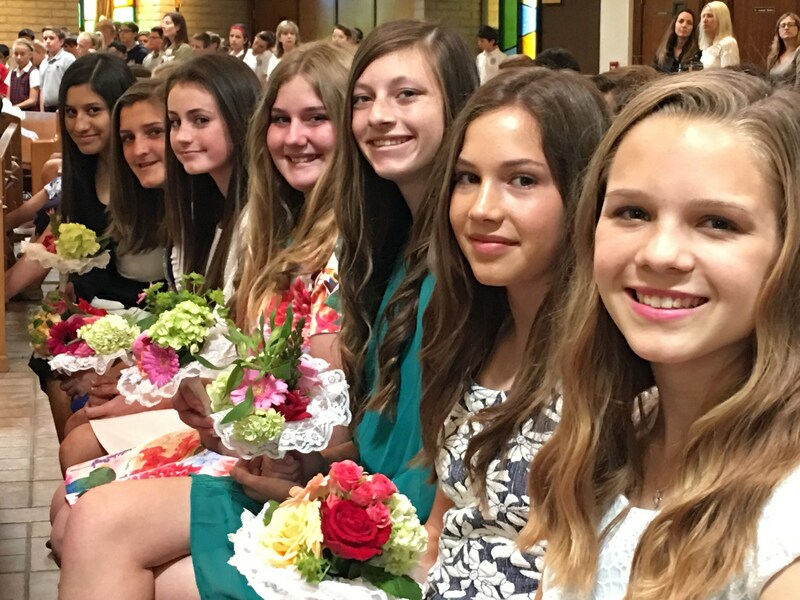 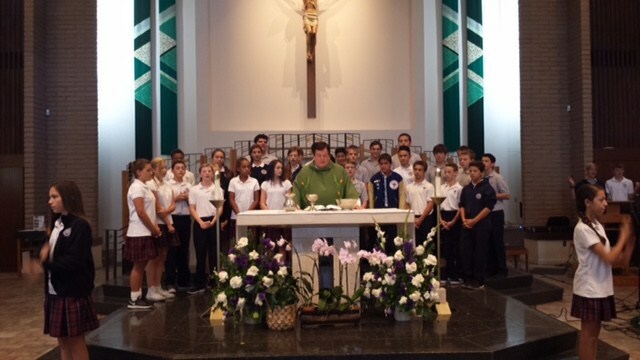 As the critical final component of the Saint Paschal Baylon School (SPBS) three-year departmentalized Junior High, Eighth Grade is the culminating year at SPBS for excellence in Catholic education, spiritual growth and opportunities! 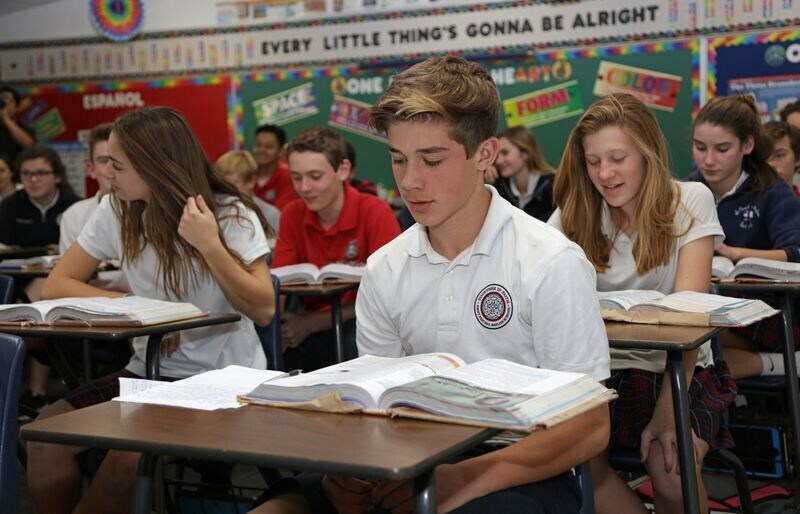 During Eighth Grade at Saint Paschal Baylon School (SPBS) students continue to change classrooms and teachers for their academic and enrichment subjects ( "Accelerated Reader" (Reading Renaissance), Spanish, Art, Music, Library, Computers/Technology, and Physical Education). 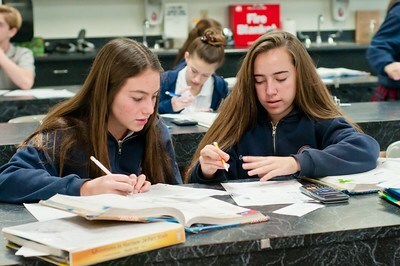 To support the needs of our diverse student population, SPBS offers Accelerated Literature and Mathematics for qualified students; a comprehensive school Resource Program; and complimentary Math Peer Tutoring after school on Wednesdays in the Science Lab. 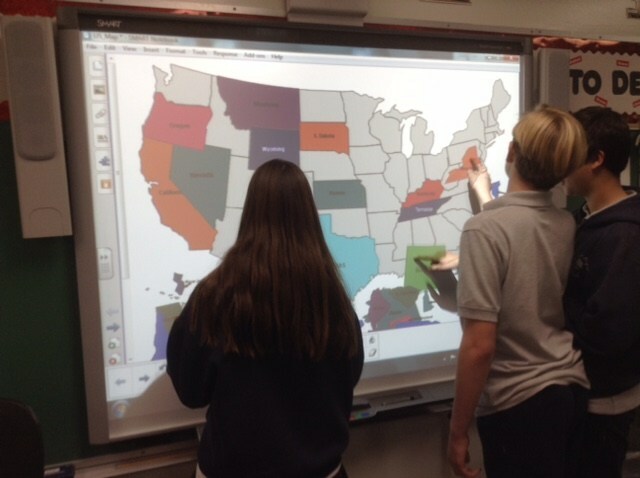 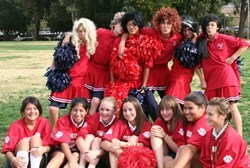 SPBS utilizes a wide range of teaching methodologies throughout our Junior High program, such as: lecture, note-taking, interactive classroom SmartBoards, hands-on projects, class discussions, cooperative group activities, writing assignments graded within the framework of the SPBS school wide writing program, oral presentations, and virtual experiences through technology. 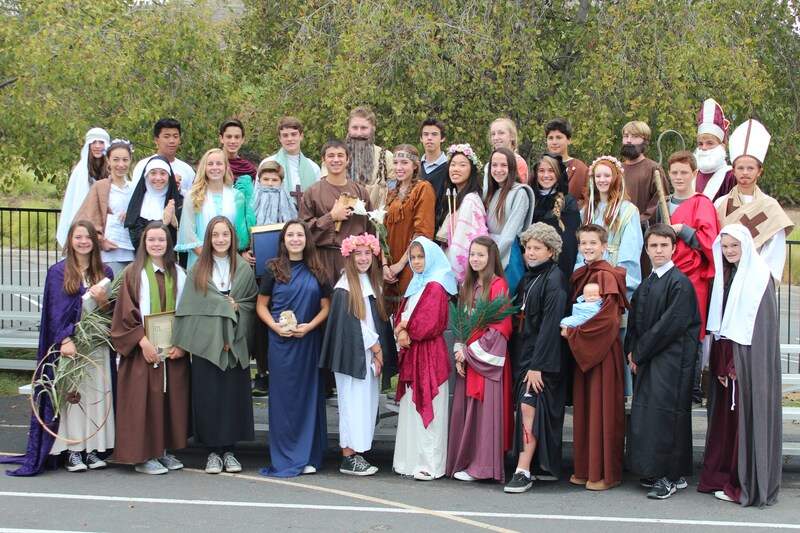 The use of technology includes (but is not limited to) class iPads; weekly technology classes; the classroom interactive, touch screen SmartBoard; and student Power Point presentations. 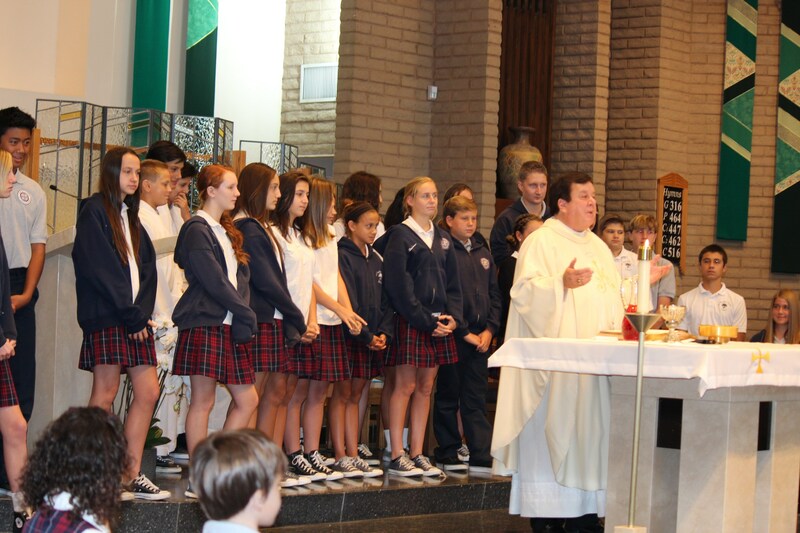 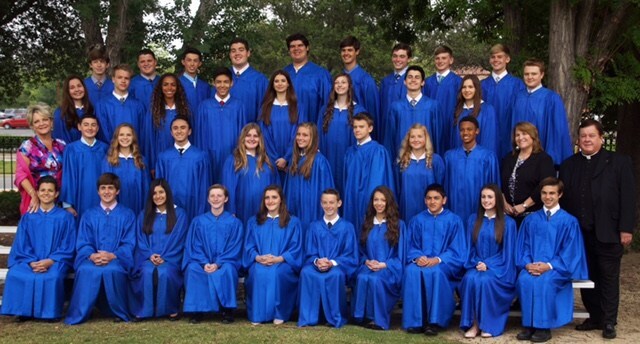 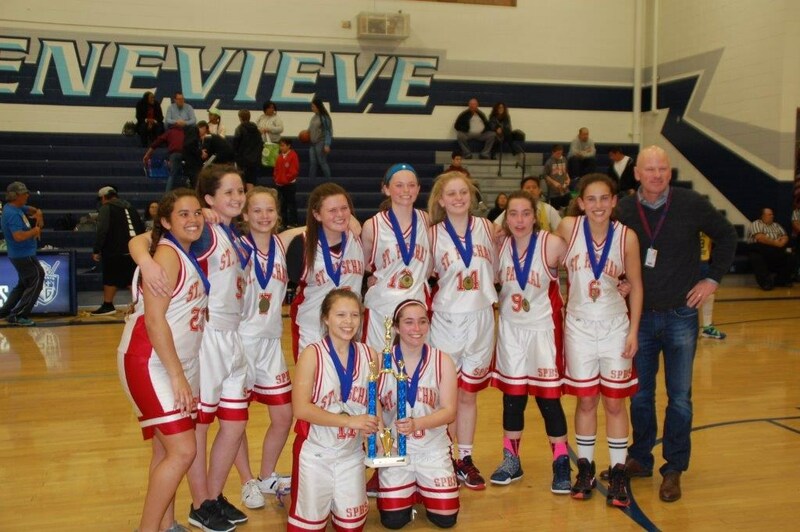 SPBS provides excellence in Catholic education for each student, through the implementation of site-specific Common Core and California State Standards, coupled with Archdiocesan Religion Standards. 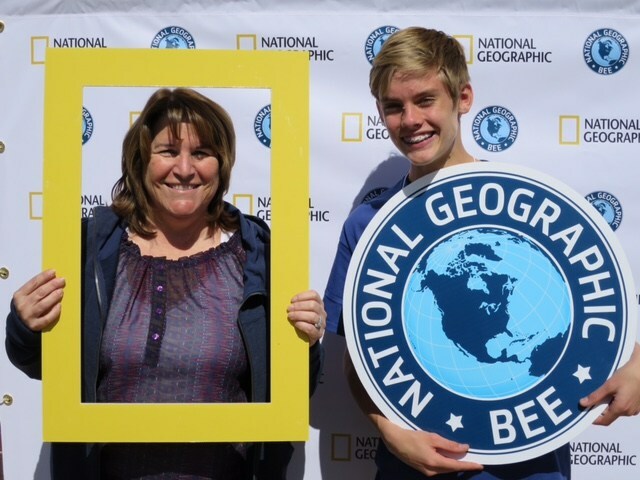 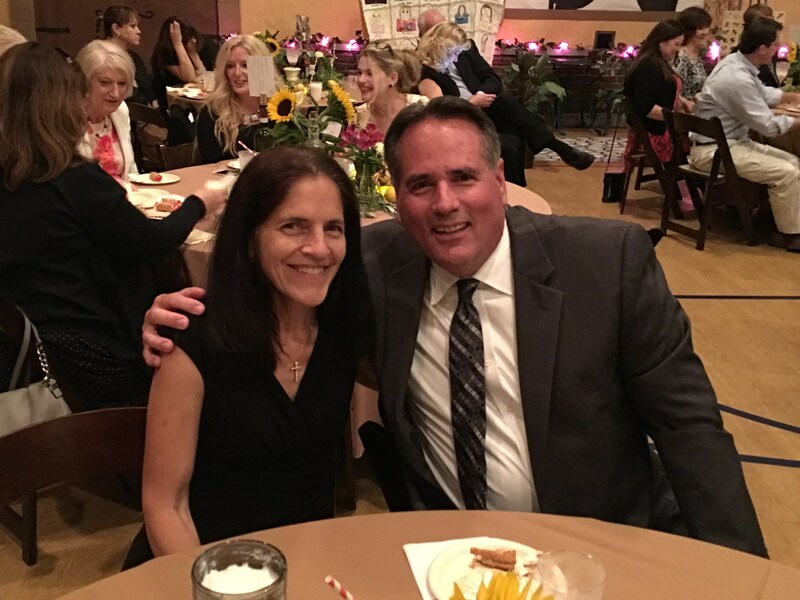 Our credentialed Eighth Grade Homeroom Teacher has taught for 20 years at SPBS, and holds a Masters Degree in Education. 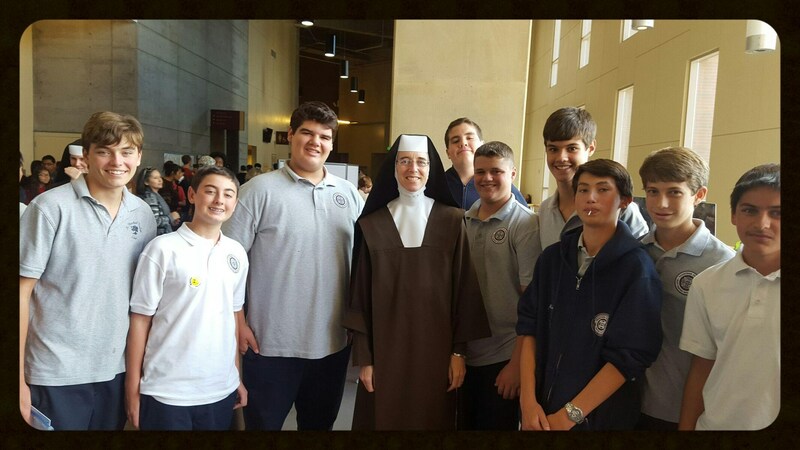 She teaches Social Studies, Religion and Art to all the Junior High Students. 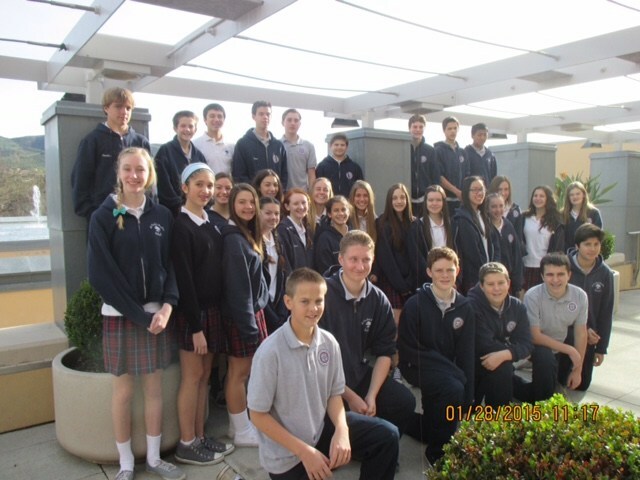 In addition, the SPBS Junior High teachers work together as a team, in order to provide a cohesive curriculum and program for our Eighth Graders. 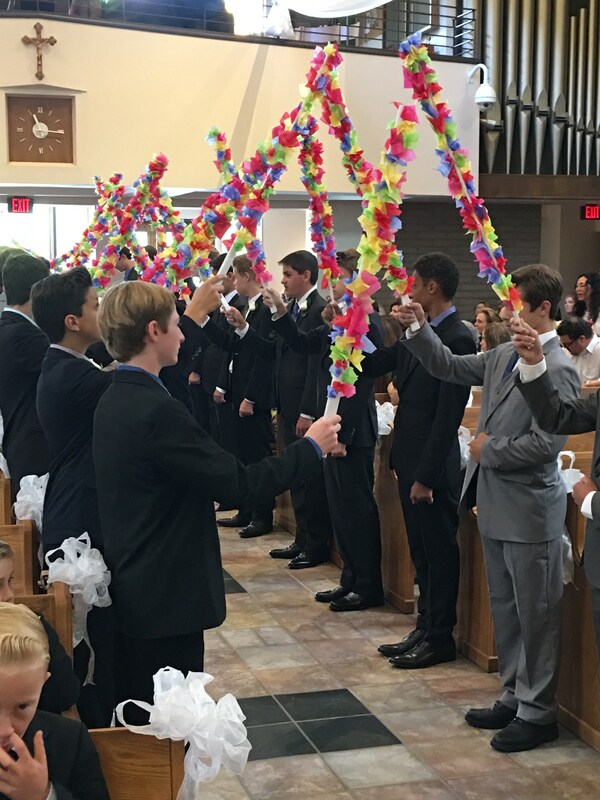 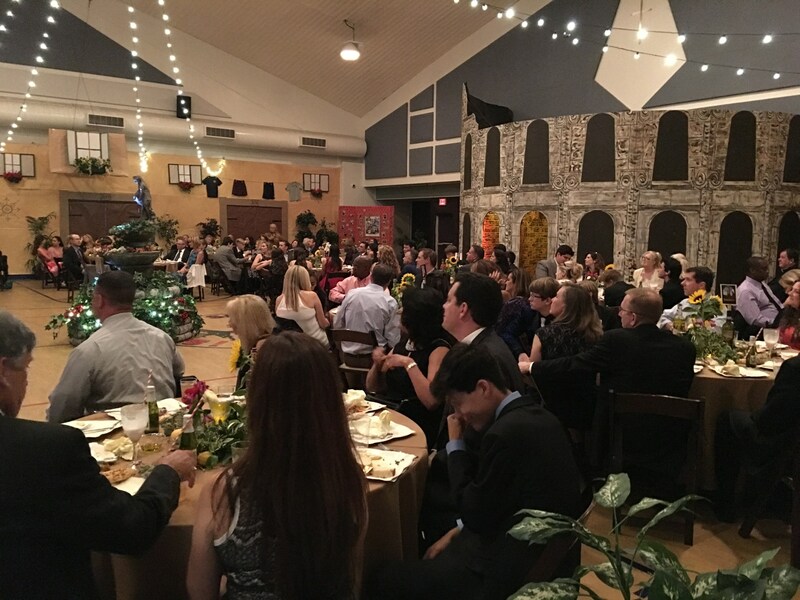 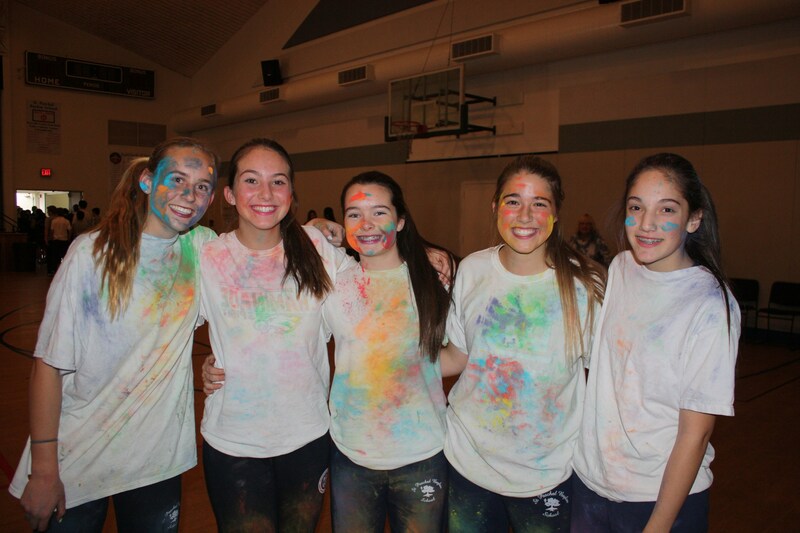 Both our SPBS Seventh and Eighth Grades provide comprehensive student Christian Service Programs, as we believe strongly that, “…to whom much is given, much is expected”. 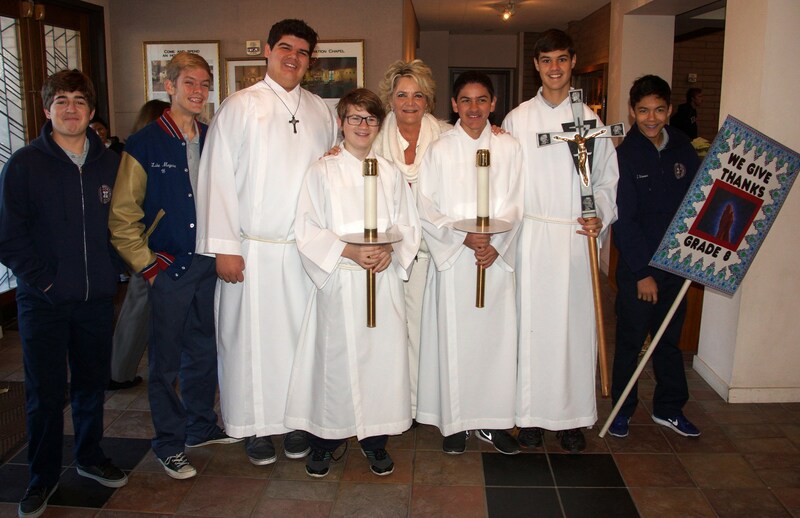 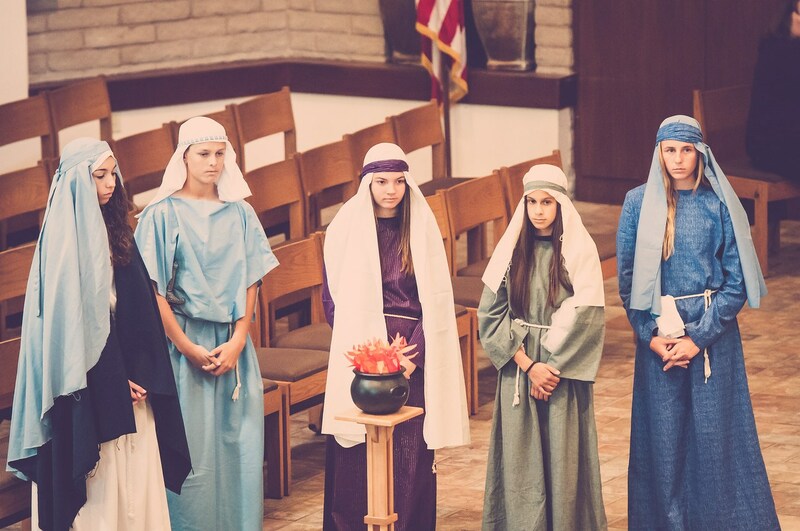 In addition, we involve our students in Mass/liturgy planning, prayer services, coordination of student-centered Stations of the Cross during Lent, and numerous class retreats, including an all-day Eighth Grade Retreat facilitated by our pastor at Serra Retreat Center in Malibu. 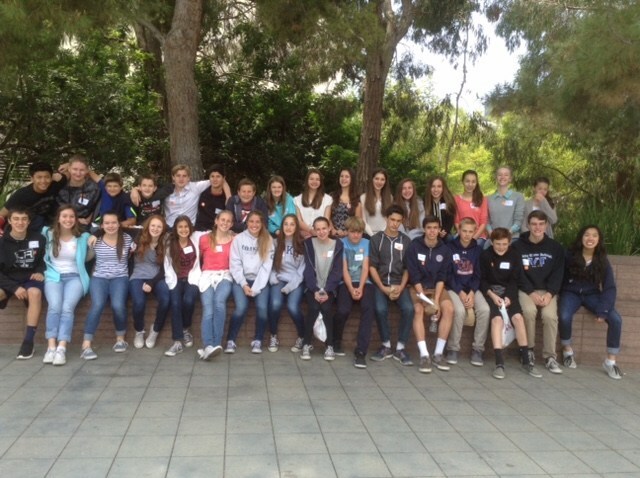 Many exciting field trips occur during this special and unique graduation year to support and enhance the curriculum, such as visits to: a local Court House, the Thousand Oaks Civic Arts Plaza, The Museum of Tolerance, Will Geer's "Theatricum Botanicum" in Topanga Canyon, the Los Angeles County Museum of Art (LACMA), and Magic Mountain (during Graduation Week in June). 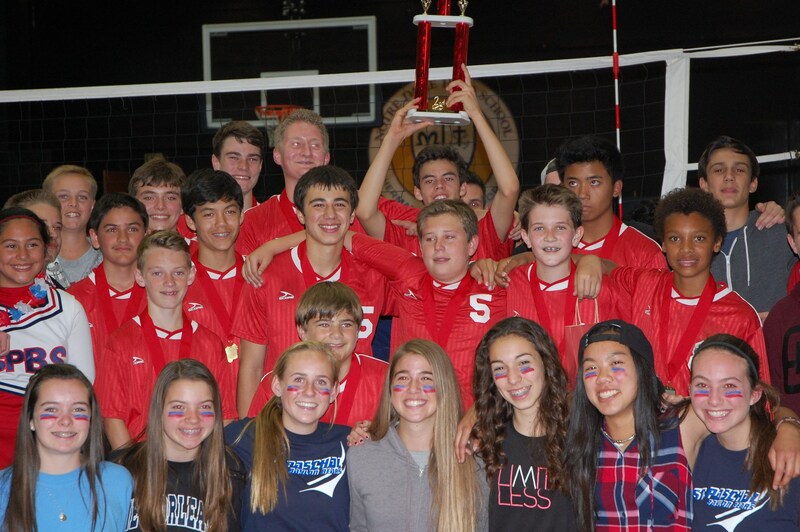 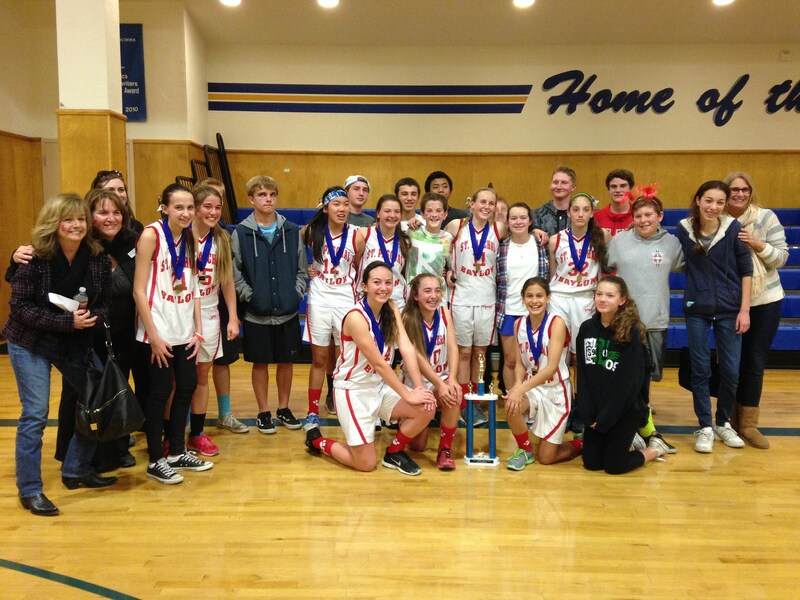 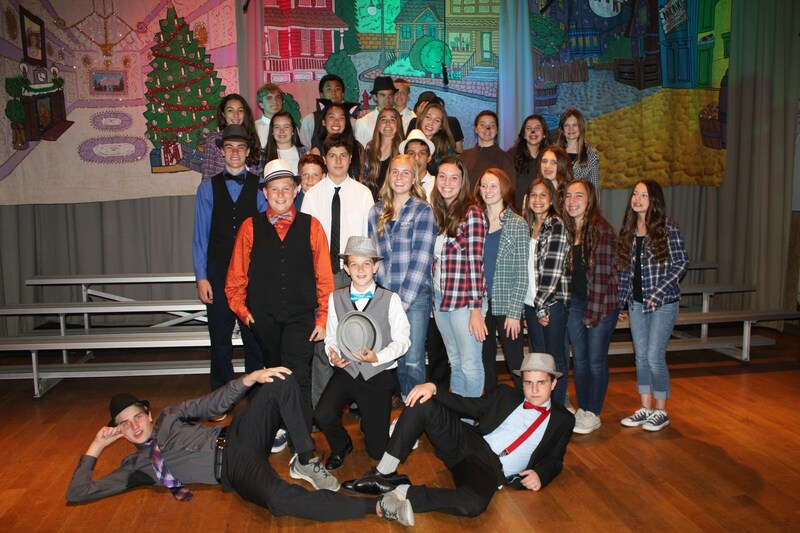 In addition, SPBS involves the Eighth Grade students in numerous drama opportunities including Shakespeare plays, the SPBS Christmas Concert, and annual “Spring Sing” musical production. 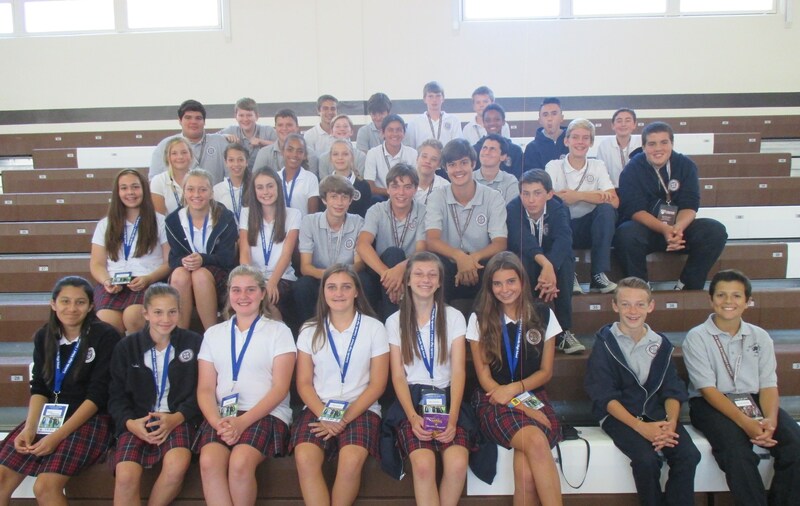 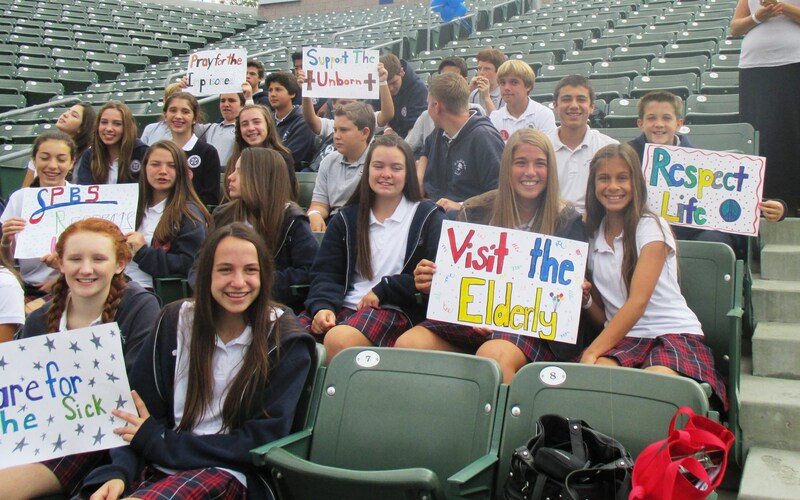 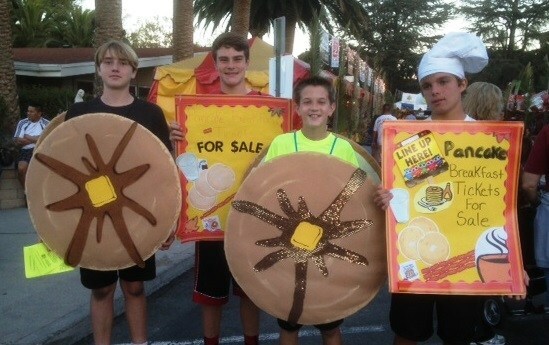 As SPBS believes strongly in our mission of “educating the whole child”, our SPBS Eighth Grade students are expected to serve as positive role models for the younger students in our school, especially their “Little Buddies” in the Second Grade. 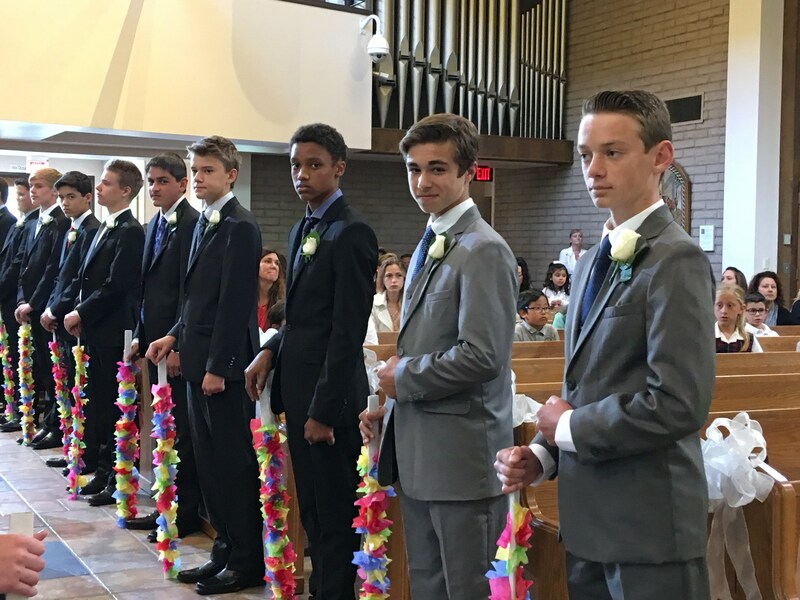 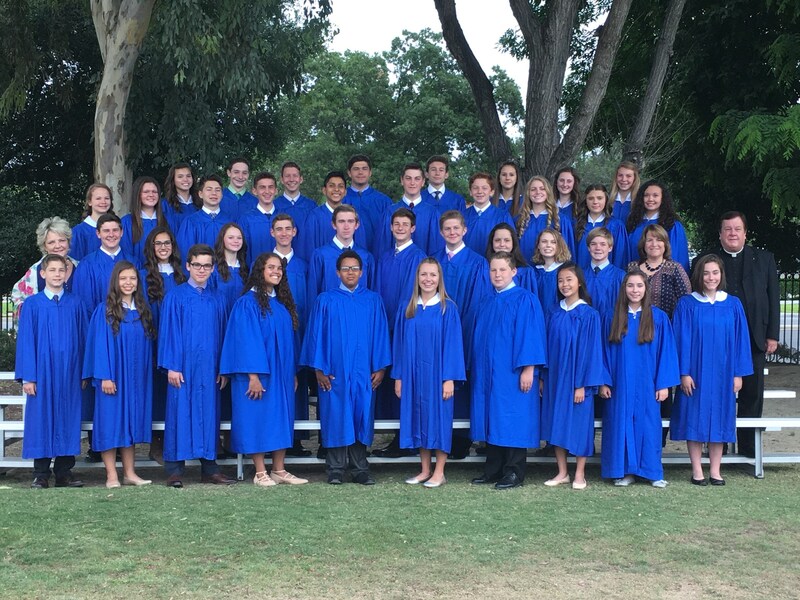 Our graduating class serves as school wide leaders, as they practice “making good choices”, and prepare to graduate and experience continued success in high school.